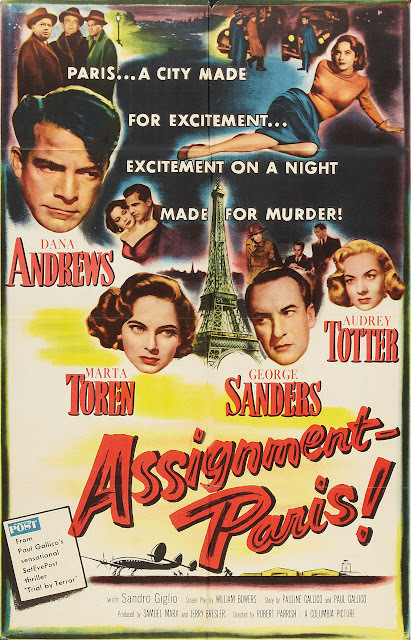 ASSIGNMENT: PARIS (1952) --- A hemmed-in Cold War account of radio broadcasting newsman Dana Andrews abducted by Reds and put to brainwash then much in the news thanks to its application by Korea forces at war. Some overseas shooting, but far less bother with background than would enliven a same-year's Diplomatic Courier, where Tyrone Power hopped trains and stayed on a move to pitch-battle communists. Andrews seems resigned. What was worse for an actor of stature and ability than trod through a bad picture and knowing all the while it was bad. 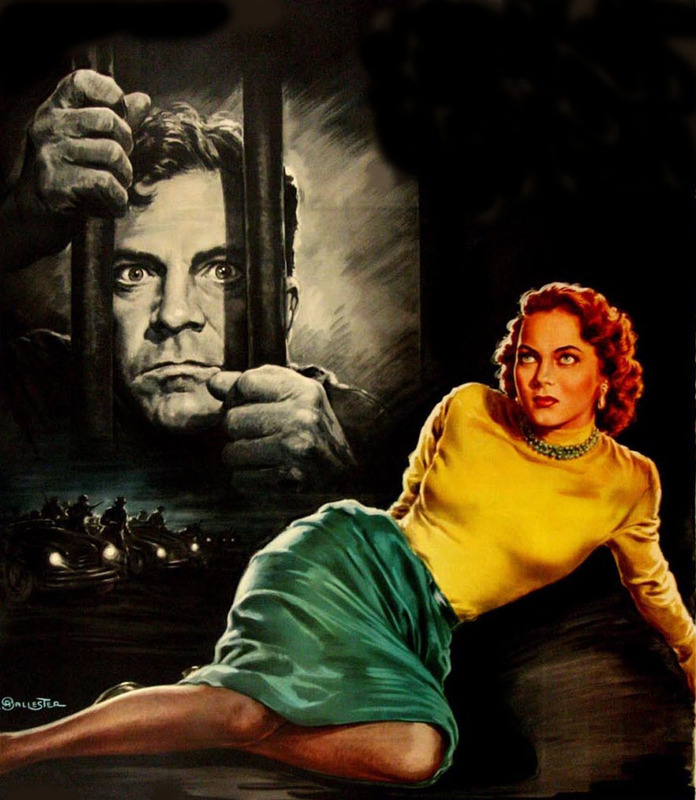 Robert Parrish directed just off two fine noirs, Cry Danger! and The Mob, this proving, I guess, that it always takes a good story for even most capable helmsmen to deliver. 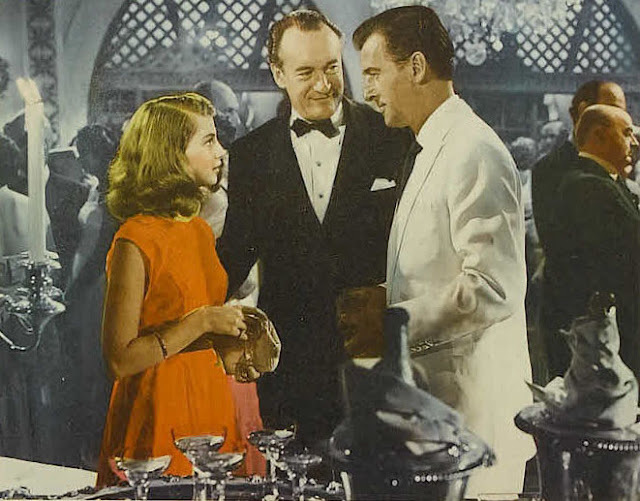 When George Sanders is rendered dull, you know there are problems. Spy vs. Spy worked better when Germans played it, commies too buttoned-up and faceless to be worthy opponents. Cards stacked as they generally are in Assignment: Paris, and ones like it, ruled out even modicum of suspense as to who'd win/lose. We'd not experience onscreen Cold War setback until the 60's and revisionist spin on espionage themes. GULLIVER'S TRAVELS (1939) --- What Variety called "super-cartoons" were seen as path to riches after Disney's historic success with Snow White and The Seven Dwarfs. Could rivals apply factory technique to animated mining for gold? Paramount seemed a best candidate to do so, having esteemed Max Fleischer on staff with long popular Popeye and Color Classics series. 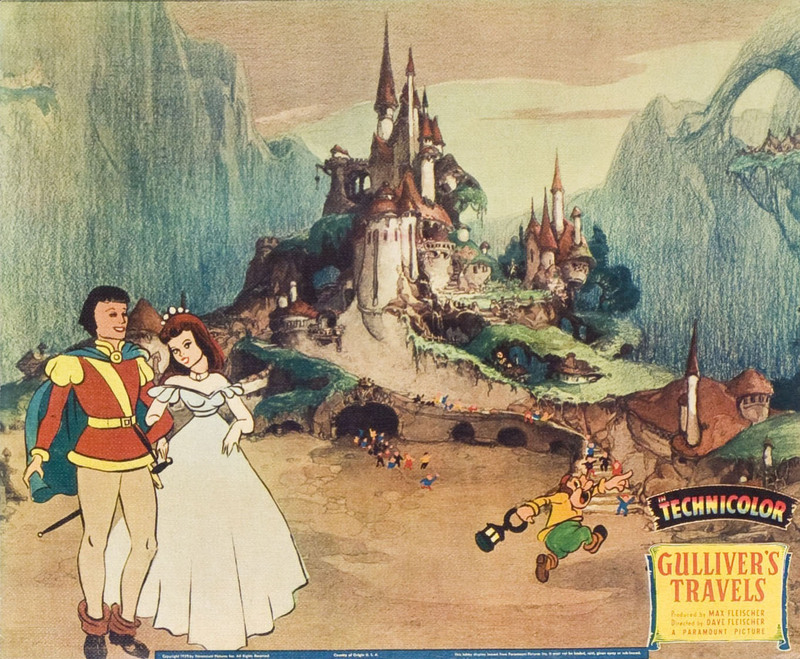 Gulliver's Travels was rush ordered to beat Disney/RKO's Pinocchio to wickets, and with Para's greater distribution prowess, perhaps out-do Snow White itself, a feat MGM's The Wizard Of Oz fell short of from late summer and continuing into fall '39 dates. 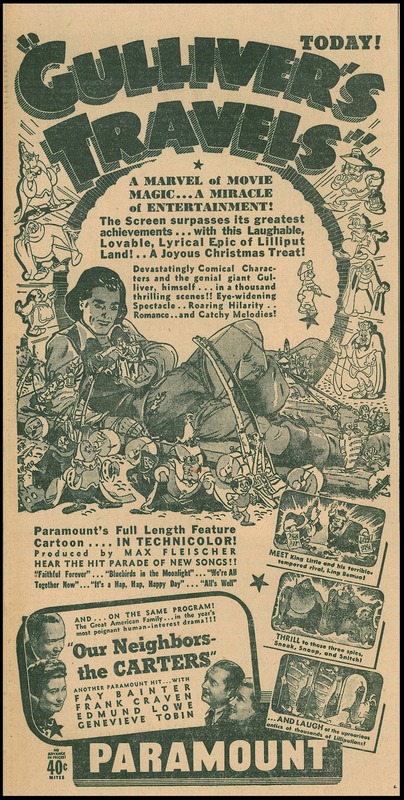 Gulliver had sock Christmas '39 openings. Observant Metro even announced they'd go forward with a cartoon feature via in-house Fred Quimby and staffers Harmon & Ising of plentiful animating experience, but plan came to no fruition. Was this result of a Gulliver fade going into 1940? Indications are that Paramount enjoyed profit, for why else would they set the Fleischers upon follow-up Mr. Bug Goes To Town? 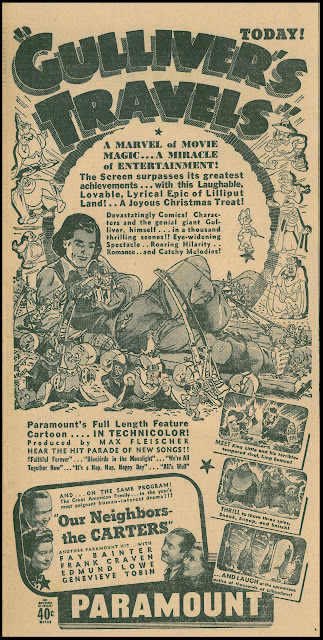 I wonder if Gulliver getting to theatres first didn't hobble Pinocchio's February '40 launch. 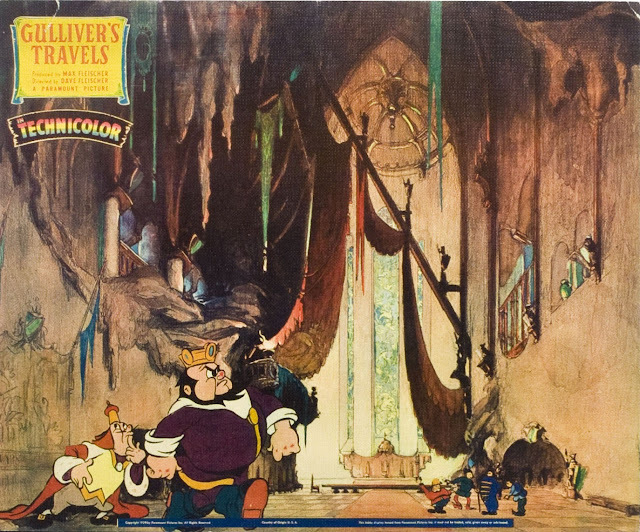 Reality was Para not being in Disney's cartooning league, but they probably sold Gulliver's Travels better than RKO would Pinocchio, and had way more affiliated venues than that distributor in which to do it. 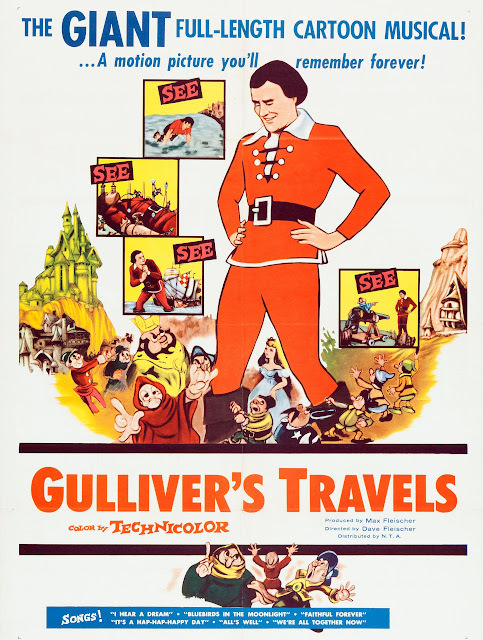 Notable is renewed life of Gulliver's Travels as a matinee reissue from 1957 onward. I recall it playing theatres well into the sixties. Here was the one lavish all-cartoon feature you didn't have to negotiate with Disney to run. Gulliver would fill many a boomer kiddie date, being timeless in ways identical to evergreens out of Buena Vista. Control of the negative had gone to National Telefilm Associates in 1956, a $725K deal with Rainbow Productions (a wholly-owned sub of Paramount) that also included 1945 hit The Bells Of St. Mary's. Greater value of the buy was TV potential of the pics, but NTA figured first to run both through theatres as preamble to tube play, with promise to showmen of a year's clearance between paying screens and home ones. We will not use exhibitors as a comfort station on the highway of life, said NTA VP Oliver A. Unger, because we feel that theatres are here to stay and that the business will grow. NTA will give its customers no surprises, but will afford them respect and guarantees on clearances. 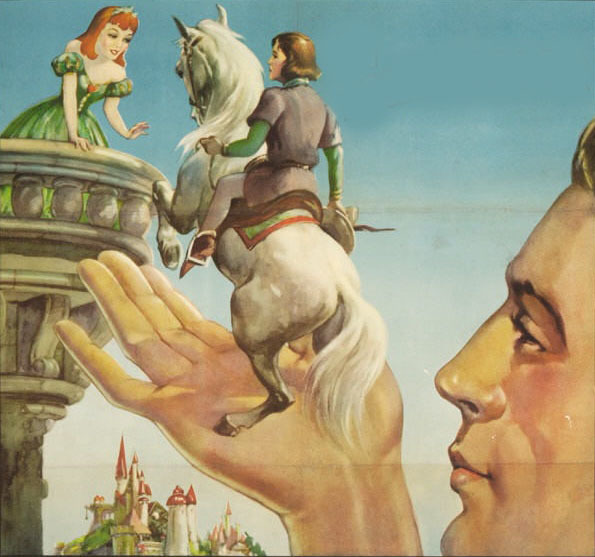 A hurdle to Gulliver's ongoing rep was lapse into the Public Domain during the seventies and substandard prints resulting from exploitation of that. A definitive print of Gulliver's Travels remains elusive --- TCM's October 2012 run was OK, but imagination was needed to fill in values '39 crowds enjoyed. Might Gulliver's be a possibility for Olive Blu-Ray release? 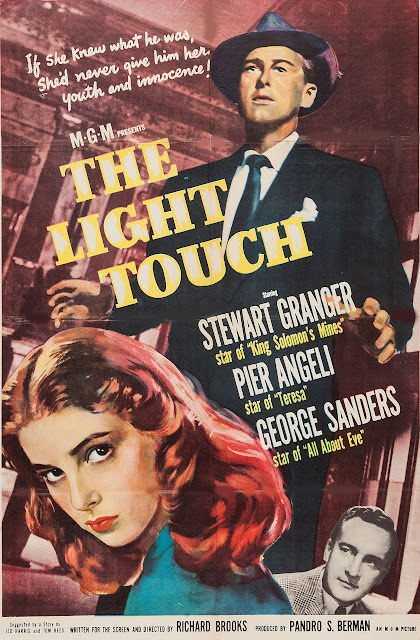 THE LIGHT TOUCH (1952) --- A little gem I discovered on TCM. Richard Brooks wrote and directed, one of his early ones in that dual capacity, so dialogue is smart and action various across Euro locations that liven schemes of art thief Stewart Granger, with assist at forgery Pier Angeli (unknowing) and George Sanders (like Addison DeWitt transplanted to continental playgrounds, with Mike Mazurki for a henchman!). Fun tips on how to fake old masters whilst peddling genuine articles stole from museums, Granger accomplished at both. He was best at being untrustworthy, so is ideally cast here. The story's a near-photo finish on a same year's Mara Maru, where Errol Flynn (a Granger role model as he admitted later) battles baddies and his own conscience over a similarly priceless relic. Over-there shooting helps a lot ... postwar MGM was good at offbeat small ones that often rank past higher-touted merchandise of theirs. I remember "Hoppity Goes to Town" being on TV far more frequently than "Gulliver's Travels" back in the day. Did Hoppity get any matinee revivals? It's a better film and wouldn't have felt that outdated in the 50s and 60s. 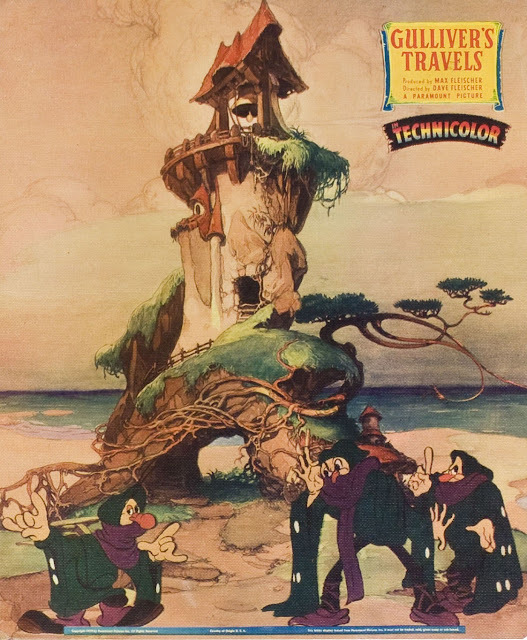 For boomers, the real legacy of "Gulliver's Travels" was the goofily chipper "It's a Hap-Hap-Happy Day." It seemed to pop up in the background of all the postwar Paramounts. Don't think any of the other songs had a life beyond the movie, except in the shorts using Gabby and other feature characters. None of the "Hoppity" songs got anywhere to my knowledge. For me, the big problem with "Gulliver's Travels" is that the biggest and best sequence comes close to the beginning: tying up the sleeping giant and hauling him into town. It's not really bad after that -- it's just never as good or exciting again. To Donald's question about a reissue of "Mr. Bug Goes To Town" ... it did come back in the late 50's as "Hoppity Goes To Town." I have ads for it somewhere, and will try to post them sometime. As an exhibitor, I played both GULLIVER and HOPPITY at my theatre in the early 1970s.